Since opening their digital doors in 2009, Lucidflow has built up quite a following of admirers; luminaries such as Slam, Hernan Cattaneo, Joris Voorn, Vince Watson, Steve Rachmad, Laurent Garnier, Dubfire, Guy J and many more have checked in since inception to get a piece of the action. With Lucidflow defying convention and going analogue in the last year, it makes sense for them to tap into their pool of friends and admirers for the latest in their vinyl releases. 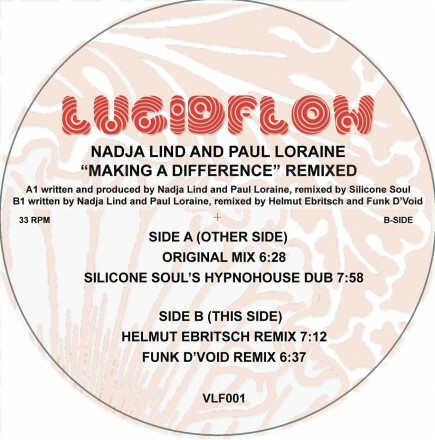 Nadja Lind & Friends is a collection of works with some of the Lucidflow family and a chance for long time supporters of the esteemed Berlin based imprint to own something more tangible. There is no finer way to kick off than with Saharan Night, a collaboration with scene legend and veteran Brendon Moeller. A veritable production machine, his dub heavy sound is a natural fit with the Lucidflow sonic template, the deep and bubbling tones an ideal counterpoint for Nadja’s sharp and swinging beat programming. 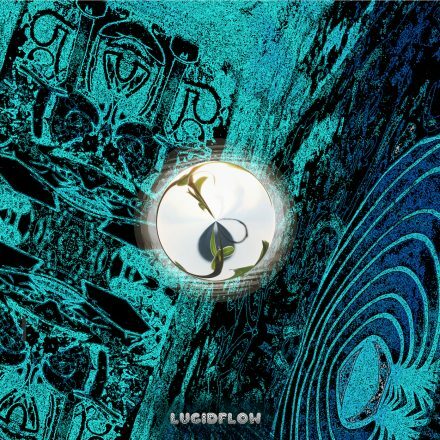 Quintin Christian made his Lucidflow debut back on LF039 (MoodWarp, Quintin Christian and Vandermeer’s Illusion) and gets his chance to rub shoulders with the Lucidflow co-owner on Place Of Bliss. Significantly lighter in mood than Saharan Night but no less deep, breathless tension is the theme with field samples conjuring up the mood of middle eastern twilight. This airy mood counterpointed by the deep and bassy vocal sample that runs through the track. Staples of DJ boxes worldwide don’t come recommended more than tracks and remixes from Chris Lattner. If this is a name you are not currently acquainted with then just look at the support from DJ’s such as Kerri Chandler (on his recent Watergate 15), Nick Harris (head of the sadly shuttered NRK, who featured a Lattner remix on the farewell NRK compilation) and Hot Creation’s Richy Ahmed (who plucked a Lattner release for the exceptionally current Rinse mix series). Here, on Drifting Elements, Lattner keeps things skeletal, swinging the beats and letting the dub chords chime out. To tie off the release, Nadja provides a standalone moment in Berlin All Day Long. Crafted after a seriously demanding tour schedule, it is the glorious return to the mothership. The huge and cheery dub chords provide an instant hook to a track that feels both Germanic and like it is hitting the vibe of classic New Jersey house in equal measure. Smiles all around guaranteed on this flourishing 12” series. NEW! 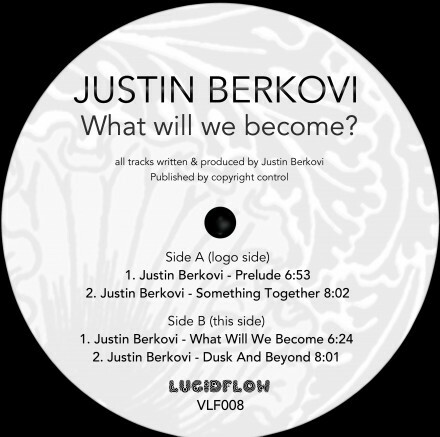 VLF008 (12″ vinyl) Justin Berkovi – What Will We Become?